Wing Chun Sparring - Do I Need To Spar? Sometimes we encounter students that attend the Wing Chun class regularly but never want to attend the sparring classes. When I ask them why, they say “I’m not ready" or "I’m scared I might get hurt". 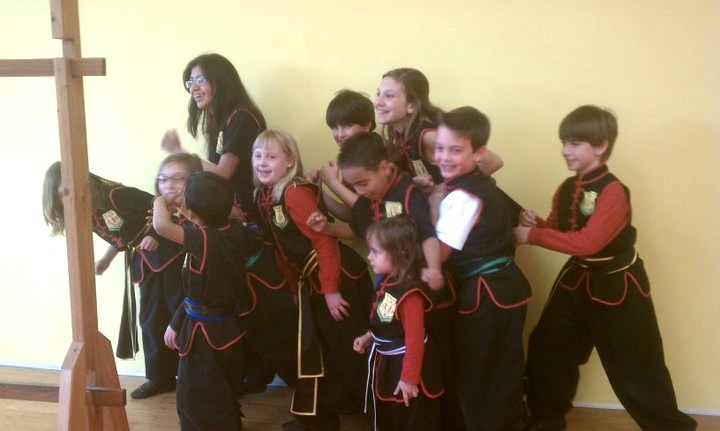 Some students have medical issues that prevent them from sparring, but generally all students about ages 6 and up should aim to spar at least once per week. Attending the sparring class is very important if you want to be able to use your skills outside of a drill setting. Remember, in the real world, an attacker will move unpredictably. For this reason, while drills and exercises such as chi sau (sticky hands) have their place, nothing compares to sparring for building the instincts and reflexes necessary for successful self-defense. There's another reason sparring is very important: humility. In martial arts it's not enough to learn how to hit. We must learn how to get hit and accept these hits with patience and humility. When practicing your fighting techniques in the sparring class, you’re building fighting instincts so you don’t have to think about what you’re doing. Over time, it all comes naturally to you. If you have to think about how to handle an attack when one comes, there’s no way you’ll survive it! Or as Bruce Lee put it in Enter the Dragon: "Don't think! Feel!" Memorial Day is an official school holiday for our kids, and the unofficial start of summer for all. Get your child's summer off to the right start by sending them to our MEMORIAL DAY CAMP on Monday, May 27th from 9 am - 3 pm. 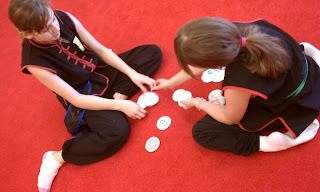 We're playing kung fu games, watching martial arts movies, and a foam sword workshop, too! To RSVP - by Monday, May 20th. Space is limited to 20 campers - call us at 818-843-7916 or e-mail info@kungfuwingchun.com. RSVP by Monday, May 13th for a $5 discount! The highly-anticipated martial arts film, Man of Tai Chi, has just released its trailer! Filmed in the United States as well as Bejing, this movie is sure to be a hit (it's also Keanu Reeve's directorial debut.) Check out the trailer below! 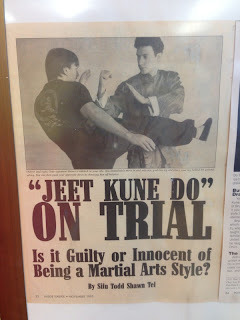 "Jeet Kune Do" on Trial. 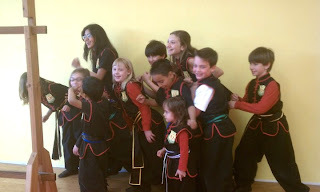 Is it Guilty or Innocent of Being a Martial Arts Style? Many people believe Jeet Kune Do is actually a style and not just a concept. This is a debate that can go on for hours with many different points of views. It's been going on longer than many readers have been alive. Let's explore the Founder's point of view and see if we can find any evidence that can prove if Jeet Kune Do is a martial arts style or a concept. Bruce Lee once said that calling his invention "Jeet Kune Do" was something that would typecast it as a certain system and he shouldn't have even given it a name. He explained repeatedly about his views on having "no way as way." Thus, you will not be limited or confined in a set Style of System of techniques. When Bruce Lee was interviewed or talked about Jeet Kune Do he made it obvious to the Martial Arts community that his "style" was indeed not a style but a mixture of many different styles and elements, as well as training strategies. When Brandon Lee was interviewed he also stated that Jeet Kune Do was not a style but merely a concept of using elements from many different styles and taking what is most effective from these styles and combining them into a method of fighting that would never limit your moves. Many contend that by adding a different technique to a Traditional style you've learned for years no longer makes that style Traditional, but taints the style and offends the "Masters." So combining many different Martial Arts techniques and using them simultaneously makes your style a sort of "Free Style" Martial Art. Aside from the fact that most modern styles are combinations or variations of previously existing styles, the ultimate goal of any style is to develop your own free fighting, instinctive pattern. So it is with JKD. No two people could possibly have the same style of Jeet Kune Do because each person would have his very own specialized style of it that would suit their own needs. Their likes and dislikes would exclusively be decided by the practitioner. But How Can I Be Like the Dragon? You can't. This would defeat the whole purpose of Jeet Kune Do. Merely following and imitating the unique patterns of Bruce Lee would be rigid adherence to a style. However, if you like Bruce Lee's fighting method and you want your style to be similar to his then you would have to follow an identical path of development. 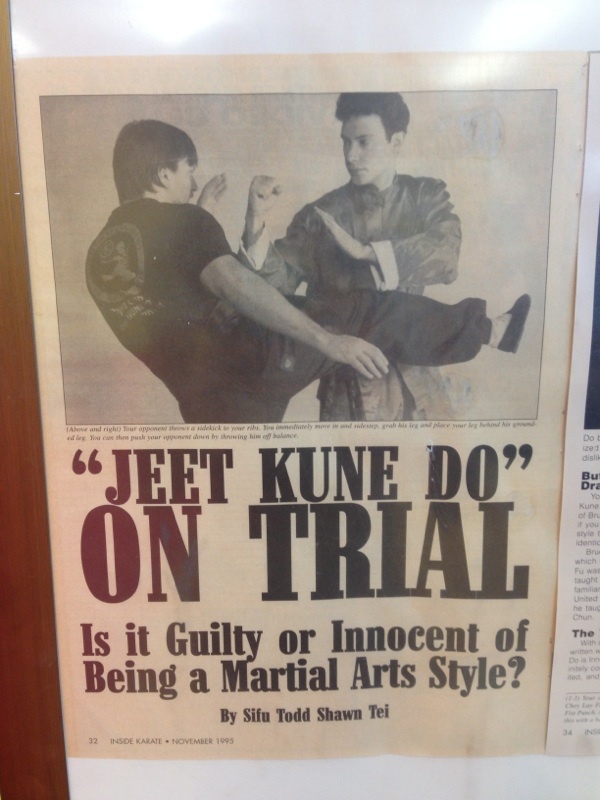 With all the evidence of Bruce's training and books he has written we can safely come to the conclusion that Jeet Kune Do is Innocent of being a style, and that Jeet Kune Do is definitely conceptual in nature. This is not to say that it is unlimited, and that any old hodge-podge of techniques is JKD. 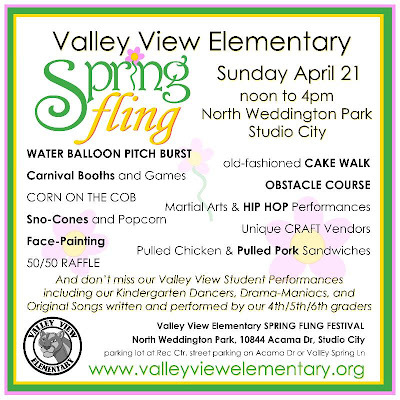 Stop by North Weddington Park in Studio City on Sunday, April 21st for Valley View Elementary's 2013 Spring Fling! 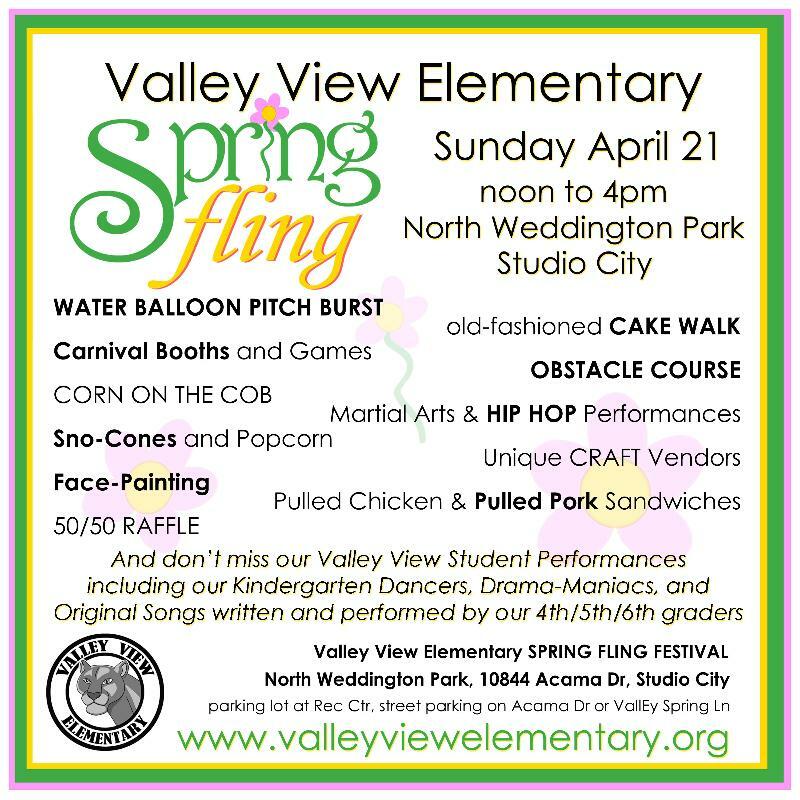 There will be great food, lots of fun games, and a performance by California Academy of Martial Arts. We're on at noon. The address and directions to the event are listed below. Can't wait to see you there! Have you seen this viral video yet? We don't know what's better: the nunchaku action or the hilarious commentary provided by the YouTube poster. Definitely worth a watch with the audio on!